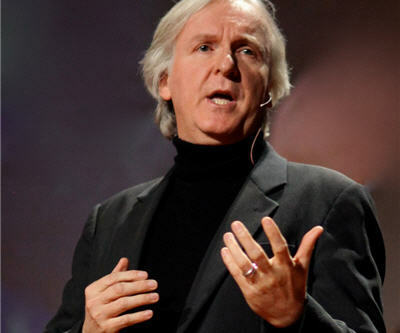 Are Google executives and James Cameron planning to mine asteroids? Speculation is mounting that group of heavy-hitting investors—including filmmaker James Cameron and Google executives Larry Page and Eric Schmidt—may announce next week in Seattle plans to mine asteroids for minerals. A new company named Planetary Resources will make an announcement on Tuesday at the Charles Simonyi Space Gallery at The Museum of Flight in Seattle. According to the press release, ". . . the company will overlay two critical sectors – space exploration and natural resources – to add trillions of dollars to the global GDP. This innovative start-up will create a new industry and a new definition of 'natural resources.'" Asteroids are rich in valuable minerals. An M-type asteroid, the third most common type, just one km diameter could contain more than two billion tons of iron ore and nickel. Google co-founders have been known to take on big, outside-of-the-norm projects. The company is testing driverless cars. Google's founders have also invested in space tourism projects. WHAT: Join visionary Peter H. Diamandis, M.D. ; leading commercial space entrepreneurEric Anderson; former NASA Mars mission manager Chris Lewicki; and planetary scientist & veteran NASA astronaut Tom Jones, Ph.D. on Tuesday, April 24 at 10:30 a.m. PDT in Seattle, or via webcast, as they unveil a new space venture with a mission to help ensure humanity's prosperity. Supported by an impressive investor and advisor group, including Google’s Larry Page & Eric Schmidt, Ph.D.; film maker & explorer James Cameron; Chairman of Intentional Software Corporation and Microsoft’s former Chief Software Architect Charles Simonyi, Ph.D.; Founder of Sherpalo and Google Board of Directors founding member K. Ram Shriram; and Chairman of Hillwood and The Perot Group Ross Perot, Jr., the company will overlay two critical sectors – space exploration and natural resources – to add trillions of dollars to the global GDP. This innovative start-up will create a new industry and a new definition of ‘natural resources’. The news conference will be held at the Museum of Flight in Seattle on Tuesday, April 24 at 10:30 a.m. PDT and available online via webcast. Eric Anderson, Co-Founder & Co-Chairman, Planetary Resources, Inc.
Peter H. Diamandis, M.D., Co-Founder & Co-Chairman, Planetary Resources, Inc.
Chris Lewicki, President & Chief Engineer, Planetary Resources, Inc. Event will also be streamed online.